Martial arts are a special form of discipline that we love at GlowSport. Taking the edge off of what can sometimes be a rigid environment for anyone is just a small part of why Glow-Taekwondo is so much fun. Whether for weekly classes or a cool birthday party this is one family activity I know that I wish I had growing up! 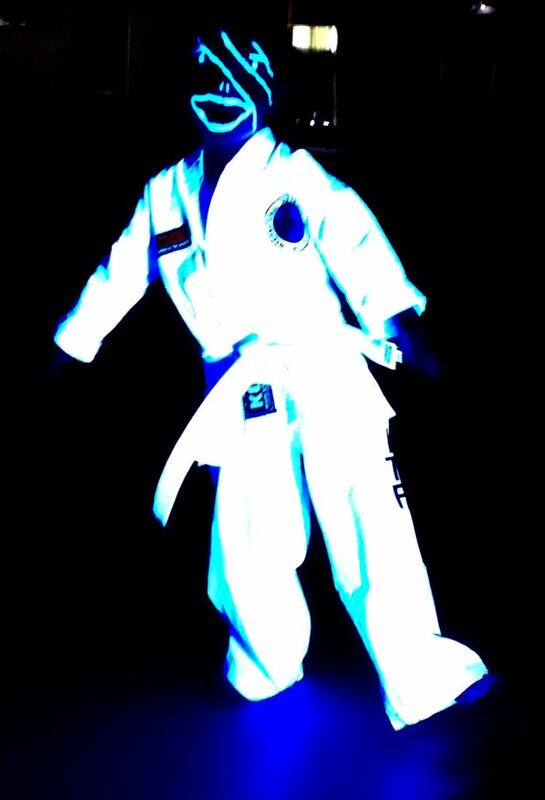 Glow-Taekwondo is proudly hosted at the RA Centre in their dojo. 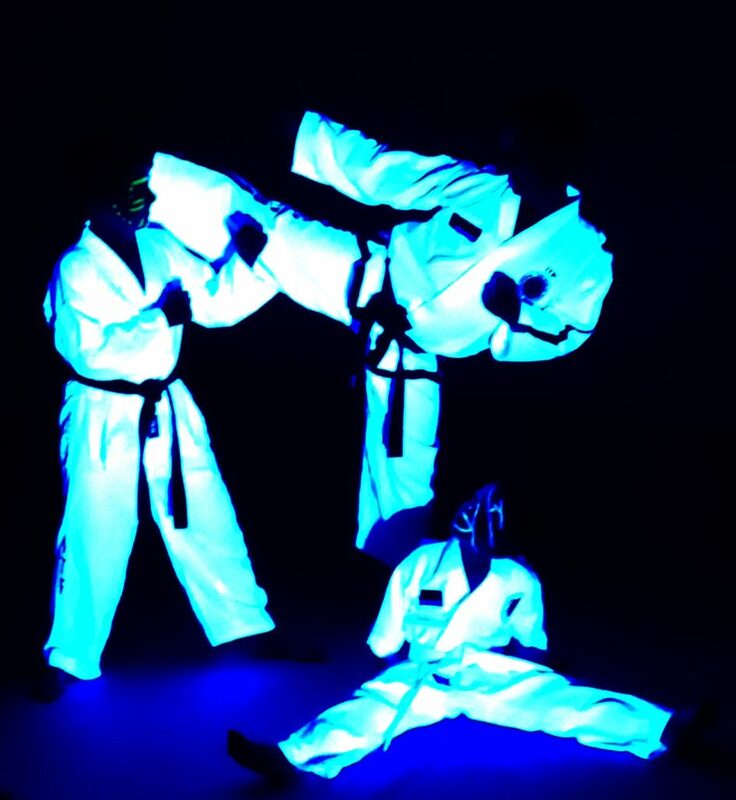 Glow-Taekwondo classes are offered Monday, Wednesday and Saturday. Our incredible instructor, Aboli Jagtap, is over-certified in our opinion and her friendly but firm approach eases everyone into the activities. Classes (Always different) include warm up, pad drills, kicking drills, fitness, glowing board breaking and much more. This activity is for ages 7+, come try it this week and see how it glows! Proudly hosted at GlowSport Central – The RA Centre, 2451 Riverside Dr. The cost is $250.00+HST for 2 hours with a 10 participant limit. 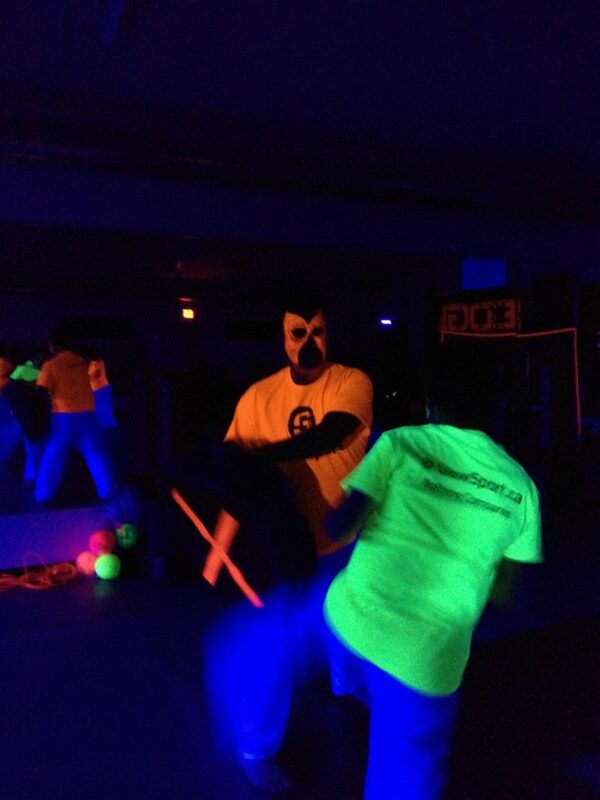 GlowSport’s awesome instructor takes the group through different drills using glowing pads throughout the experience. The training is fun oriented and allows participants of all skill levels to have a great time. At the end of each session participants get to break glowing boards (Should they choose) and take them home after. Once the glow ends everyone heads to the restaurant! This activity is good for everyone 7+…we have hosted younger but it’s mayhem so it’s your call. The cost is $325.00+HST for 2 hours with a 15 participant limit. GlowSport’s incredible, over-certified instructor takes the group through different drills using glowing pads and items throughout the experience. The training is fun oriented and allows participants of all skill levels to have a great time. At the end of each session participants get to break glowing boards (Should they choose) and take them home after. Once the glow ends everyone heads to the restaurant! This activity is good for everyone 7+…we have hosted younger but it’s mayhem so it’s your call.